Super Easy Setup- There is no traditional and complex setup process at all. Set up easily and quickly with user-friendly APP and easy on-screen guide. Motion Detection- Motion Detection with email or push alert notifications based on motion sensing technology. HD 720P Resolution- 720P High resolution live streaming delivers you a crystal clear picture anywhere with your mobile phone, tablet or PC. Super Wide- Remarkable view with super wide 120 degree viewing angle, with an adjustable base, you can manually adjust the viewing angle. 1.Did you scan the QR Code of the camera yet? By click the Add Camera. 2.Is there any special character in your wifi password or wifi name, like ' or &? Our camera does not support special symbols as WiFi password settings. 4.When you input the wifi password and configure the camera, you will hear the sound of beeping, and after that do you see the led blue light blinks slowly----quickly ----solid? If yes, you have connected to the wifi. If no, please try to hit the configure button again until the blue LED light comes in solid blue. If you have followed above steps, still can not connect to wifi, we suggest to reset the camera by press and hold the reset button for 10 seconds, after that please wait for initiating the camera about 1 minute. After that, please re-configurate it. Please follow up the video guide for connecting the camera. 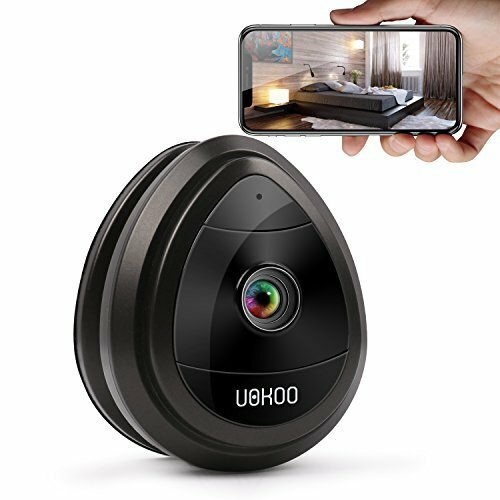 ♣ HD 720P VIDEO: You can manually adjust the viewing angle, use wireless camera to capture an entire room without ever having to pan or tilt. Mult-view for several home cameras monitoring at the same screen, so you won't need to switch one camera to another to check what happening for a certain camera. If you have any questions about this product by Lambow, contact us by completing and submitting the form below. If you are looking for a specif part number, please include it with your message.